It's Bastille Day in France, and the private French space agency Galactus--France's answer to Space X, owned by the eccentric treasure hunter Jean-Pierre Broussard--has just sent a satellite payload into orbit. Billed as a "communications" satellite, it harbors a frightening reality: a nuclear electromagnetic pulse has been hidden aboard. In days, when the satellite is in position, Galactus's head and Broussard's second in command, Dr. Neveah Patil, will have the power to lay waste to the world with her EMP, and create her own immortality with the Holy Grail--the stones of the heavens and the very treasure Broussard has spent his life searching for. The countdown has begun, and Special Agents Nicholas Drummond and Michaela Caine will go down to the wire to stop this heinous attack. 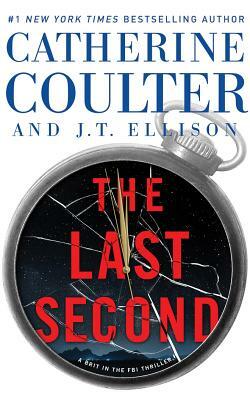 With their signature "nonstop action with enough realism to keep you thinking and scare the daylights out of you at the same time" (Suspense Magazine), Coulter and Ellison have created a thriller to take you on a breakneck and breathtaking journey.